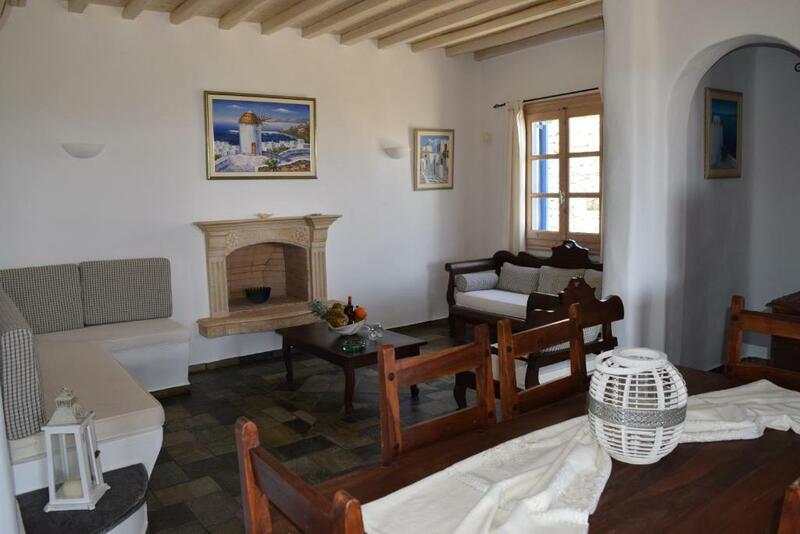 Lock in a great price for Villa Irini – rated 8.9 by recent guests! One of our best sellers in Mykonos! 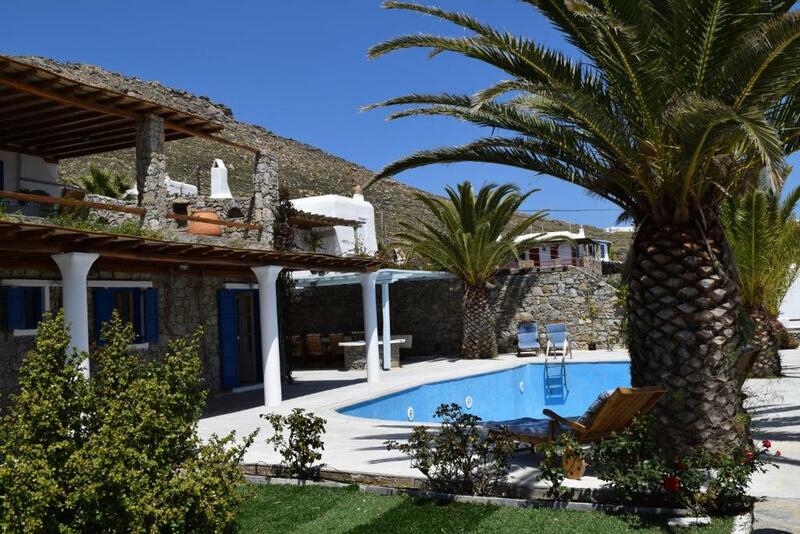 Located in Panormos Village of Mykonos, the stone-built Villa Irini features a private pool and a furnished sun terrace amid its well-tended garden. 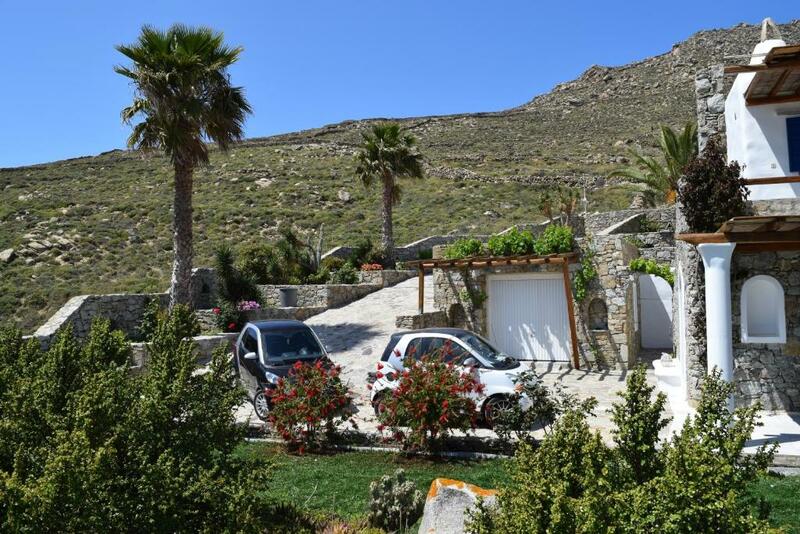 Free WiFi access is provided throughout and free transfer from Mykonos Airport is offered. 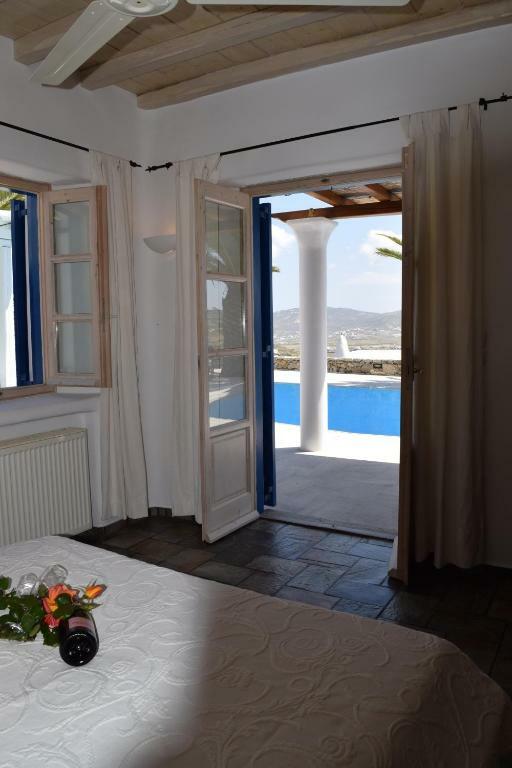 Overlooking the garden, the mountain and the pool, the split-level villa is traditionally decorated with built-in sofas and beds, arches and beamed ceilings. It features a living room with fireplace, a dining area and a fully equipped kitchen. Facilities include a dishwasher, a washing machine and a flat-screen satellite TV with DVD player. Guests can relax at the sun loungers by the pool and enjoy the unobstructed views of the surrounding area. BBQ facilities a covered, outdoor dining area are also available on site for al fresco dining. 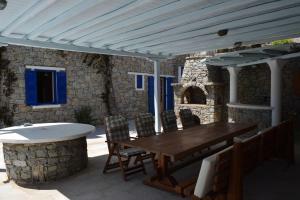 Restaurants bars and mini markets can be found within 2.5 mi from Villa Irini, while Panormos Beach is also 2.5 mi away. 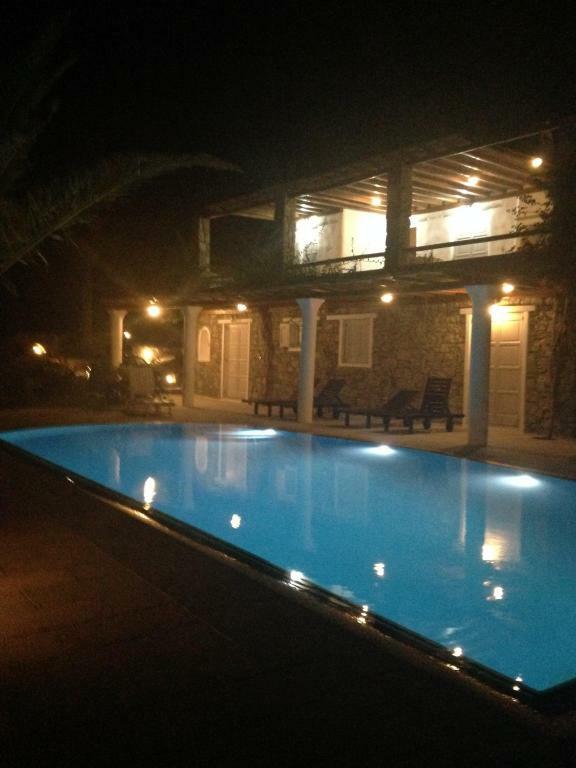 The cosmopolitan Mykonos Town is at a distance of 3.7 mi and Mykonos Airport is 4.3 mi away. Free on-site parking is possible. 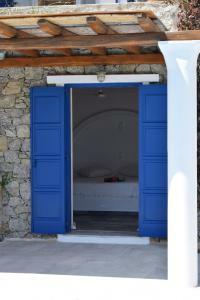 When would you like to stay at Villa Irini? -a flat-screen satellite TV with DVD player. 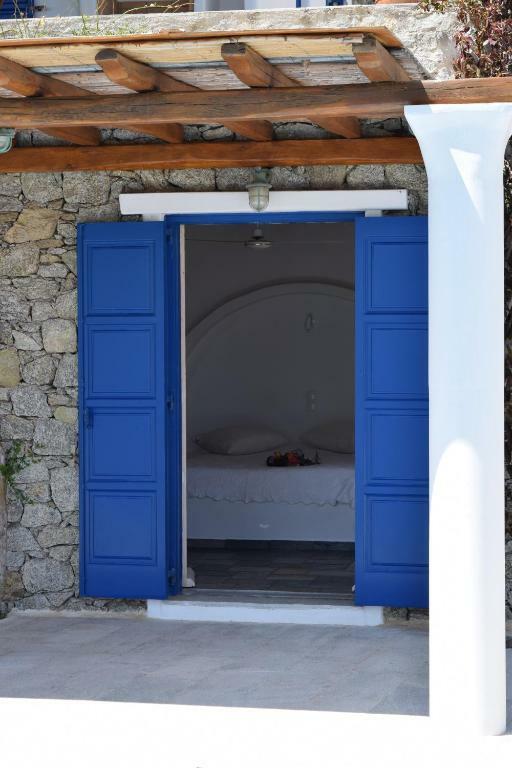 House Rules Villa Irini takes special requests – add in the next step! 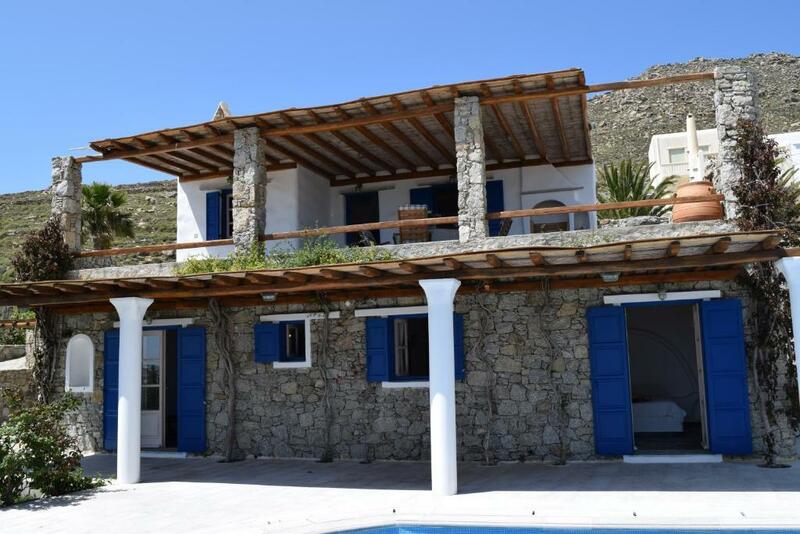 Villa Irini accepts these cards and reserves the right to temporarily hold an amount prior to arrival. Amazing landscape from the swimming pool. Very quite place. The villa is full of conforts. Top quality helpful staff. Everything was perfect. From the welcoming at the airport to the cleaning of the house. 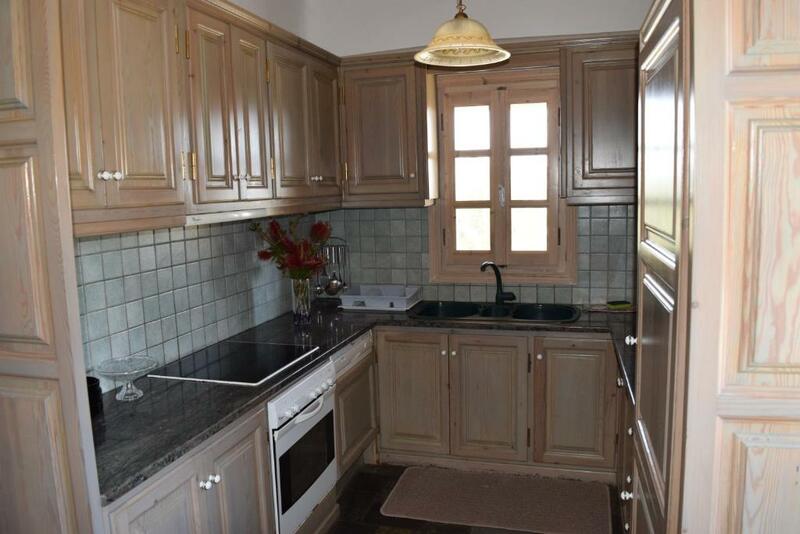 The villa was better then it looked on the pictures. 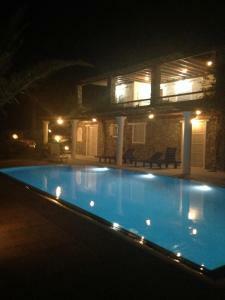 Pool and terrace are huge, beds are super comfortable, all rooms have their private bathroom, kitchen is fully equipped. We wanted to do a barbecue one night and everything was provided to us. The house was cleaned everyday in depth, sheets changed, new towels everyday... . I would definitely recommend this house! DO NOT. I repeat do noT stay at this villa. Not only was it hard to get to and from. The host had cameras all throughout the house so we did not feel safe! We felt as though he was watching us. He also stole our cat food.